The PhotoFocus InFocus Interview Show FOR OCT 21ST, 2016. With your Host Rod Harlan. As always we have 3 Inspiring Interviews with well-known movers and shakers in the industry. We’ll start with Chamira Young interviewing Scott Valentine about how Experimentation plays a role in artists finding their own style as well as pushing their own boundaries. Then we’ll move to Levi Sim interviewing Corey Barker about being a designer and running his own business, his visual and design inspiration that comes from movies, and where other ideas and inspiration come from for him. And we end with Robert Vanelli interviewing Daniel Gregory how to find inspiration for your work, the history of photography, the introspective side of photography that leads to creating work with intention. Get to know an inspirational photographer: This month Scott introduces you to the portrait photographer Don Blair better known as Big Daddy. (1925 - 2004). Don was a portrait photographer who was known for his attention to detail and was beloved in the industry. Scott was fortunate to have met Don and learned about lighting and posing from him. After some listener feedback, Scott and Marco decided to talk about light in photography in this show. Did you have your photography break-through moment and have learned to "see and read light"? Light the problem and also remember to subtract light when necessary. Expose for the main subject and add light to your subject in order to subtract light from the unnecessary objects. Marco shares an exercise that everyone can do at home in order to see how light position, angle and power can influence a faces appearance in a photo. Scott talks about lighting styles and the quality of light. Marco shares some info about the latest generation of strobes and small but flexible LED constant light sources. Ron Pepper and Scott Bourne discuss the issues surrounding your light source, setting the appropriate white balance, and when to use a different white balance for a more dramatic image. They also address the difficulties of shooting with competing light sources. Richard Harrington and Scott Bourne answer viewers photography questions. I am shooting wrestlers and want to portray how tough these athletes really are so I actually want their blemishes and bruises to stand out in my photos. How do I accomplish this? I am shopping for a flash. I keep seeing them rated based on “guide number.” Can you explain this please? I only have one lens right now and am saving up for a telephoto lens. My digital camera has a feature called the “digital zoom” but some people say I shouldn’t use that feature. Can you tell me why? I note that LR and other post-processing programs offer lens distortion corrections that are paired to specific lenses. Are these corrections trustworthy and/or is there a better way to do it? I heard Scott say something about exposing to the right. What does that mean and why would I need to do it? I want to photograph sports but am not sure how to go about getting access. Do you have any tips? How important is it to prioritize competing focal points in my compositions? I know this is a real beginner’s question but what is LIVE VIEW and why would I use it instead of the regular viewfinder? My friends say there’s no need to make prints but every one of the serious photographers I’ve heard of say prints are still important. What do you two think? Where do you find story ideas and things to photograph? Sometimes I struggle with what to shoot. In this renewed, reinvigorated episode of The Mind Your Own Business Podcast, Scott Bourne and Skip Cohen discuss actionable ways to improve your photography business. -Make sure you have a professional headshot of yourself up on your website, and in your marketing material. -Proofread your material. This includes your website, business card, etc. The service Grammarly will help you with punctuation and proofreading, for example. Or, you could look for an English teacher, or an A student who’s passionate about writing. If you want to be a better writer, then read as well. -Try not to be a gear hound. The gear does not make the photographer. Learn how to be a people-person. Also, consider renting or leasing gear and trying to make great pictures. Publish your phone number for people to contact you. Also, if you put a form on your website, respond quickly. Time is off the essence when responding to potential clients. -Listen to your clients, learn their vision, and learn what they’re really asking for. Don’t assume you understand. We’re in the problem-solving business above all. Learn empathy. -Be consistent in blogging and staying in contact with your readership. Your website is about what you sell. Your blog is about what’s in your heart. -Within your photography portfolio, focus on quality rather than quantity. Learn how to use studio lighting. -Have back up gear to every shoot. Failure to prepare is preparing to fail. -Avoid showing work that is technically above your skillset (as in, don’t create work you can’t duplicate). Don’t be a workshop photographer – as in, copying someone else’s set up. -Try to make the best photos possible. Perform at the highest level every time you make pictures. Fuji announced the development of the new 50 MPix GFX medium format camera. Marco had a first hands-on and talks about his impression. And he also managed to get his hands on the soon to be released XF 50mm f2 lens. Marco was also fortunate enough to get a 45-minute interview with Hasselblad's product manager Ove Bengtson and talked about the new 50 MPix medium format X1D camera, the target audience and the past, present and future of Hasselblad. Next up is Olympus and their just announced OM-D E-M1 Mark II camera and what the Olympus managers had to say about their new flagship camera that will start shipping in late 2016. Panasonic's biggest announcement was the development of the Lumix GH5 camera, that is due around March 2017 and will most likely set the new standard in terms of 4K and 6K video recording. Canon and Nikon were also at Photokina, but what did they show in terms of mirrorless cameras? Instax cameras are also mirrorless and were a hot and much-desired item at this year's Photokina. Marco shares more impressions and trends like functional photographer wear from COOPH, and thoughts about hot camera bags from Peak Design, Barber Shop and Compagnon. Marco will be at PopUp Gulf Photo Plus in Berlin on October 29th and 30th. He was asked to interview David Hobby and Zack Arias for the Photofocus podcast during the event. And we want to turn the questions that Marco is going to ask them to our audience. Do you have a photography related question that you would like to ask David or Zack? If so, just write it in the comments section below or contact Scott or Marco directly via the links provided at the end of the show notes. And please add to whom you would like the question to be addressed to. We have picked our monthly featured photographer and image from our Photofocus Mirrorless group. Our monthly Photofocus Mirrorless feature photo and photographer of the month is: Amy Hoogerbrugge's photo titled: "March 3, 2016"
Marco starts off with an announcement regarding the PopUp Gulf Photo Plus in Berlin on October 29th and 30th. He was asked to interview David Hobby and Zack Arias for the Photofocus podcast during the event. And we want to turn the questions that Marco is going to ask them to our audience. Do you have a photography related question that you would like to ask David or Zack? If so, just write it in the comments section below or contact Scott or Marco directly via the links provided at the end of the show notes. And please add to whom you would like the question to be addressed to. Get to know an inspirational photographer: This month Valerie introduces you to the American photographer and painter Saul Leiter (1923 - 2013). Saul is best known for his color photos of New York in the 40s and 50s of the last century. He along with Robert Frank and Diane Arbus influenced the 40’s and 50’s with his photography that was later coined as New York School of Photographers. Check out his work and be inspired by his images. What is the definition of street photography? How and why did Valerie and Marco get started with street photography? Why should someone start with street photography? Is street photography important for society? Can someone make a living with street photography? How to get started and what should one look out for in the beginning? Ron Pepper and Scott Bourne tackle the problem of NOISE in your photographs, using both pre and post processing, and they discuss the Panasonic GX8 camera and it’s ability to auto-bracket. Richard Harrington and Scott Bourne answer viewer questions. I am new to digital photography and keep reading about certain cameras being “noisy.” While this may be a stupid question - what does that mean? Noisy? I would like to get started with real estate and architectural photography. What camera lenses would you suggest I use for that purpose? I am shooting video with my Panasonic GH4 and keep hearing about shooting with a “Flat” profile. What is that and why is that important? I want to practice my portrait photography and my family is sick of me asking them to pose. I want to hire some models but don’t have a big budget. Can you suggest ways of finding affordable models for photography? I know Scott used to use film back in the day so maybe he can tell me if I should invest in some old film. I have seen film on Ebay that is recently “expired.” Would it be safe to try this? The person is selling it pretty cheap and I like experimenting with film. I have been shooting images that I want to convert to Black & White. I see lots of cityscapes with black skies but the images were made during the day. I like that effect. How do I get it? I want to use a small aperture to increase my depth-of-field, but I realize that by stopping down I increase the possibility of lens diffraction. What are the trade offs and other possible solutions to attain greater DOF without sacrificing image quality. With the advent of accurate auto white balance do I still need to worry about using the eye dropper tool in LR/PS to set color balance in post? In this renewed, reinvigorated episode of The Mind Your Own Business Podcast, Scott Bourne and guest host Chamira Young discuss actionable ways to improve your photography business. Don't base your pricing solely on what other photographers are charging. Be confident in your price and say it with authority. We need to be confident in ourselves as photographers. Even if your skill set is adequate with your camera, you still have to believe in yourself. Be sure of your craft and your position in the market through study. If someone says no to your pricing, that usually means you're talking to the wrong person. Your ideal client is NOT everybody. You need to target on your ideal client. If you're talking to someone who has the authority, the money, and the need for your services, then you're most likely talking to the right person. You have to make a connection with your clients. We're in the business of relationships. "Hope" is not a business strategy. Up your personal game. Try to be the best you absolutely can. This will help the market overall. Photokina is just around the corner. It will be held from September 20th to the 25th in Cologne, Germany. Marco will be there to find out what's the latest and greatest in the photography industry. And for those who are planning on going and don't have a ticket yet: Our friends at Hahnemuehle Fine Art paper manufacturer have given Marco a few day pass tickets to give away. Listen to the episode to find out what you have to do for your chance to get a free ticket. This year's PopUp Gulf Photo Plus will pop up in Berlin, Germany on the weekend of October 29th & 30th. The speakers will be David Hobby, Gregory Heisler, Joe McNally and Zack Arias. Marco will also be there, so let him know if you are also planning on participating. It's always nice to meet our Photofocus listeners. The Korean lens manufacturer Samyang announced another new lens for mirrorless cameras. Their newest lens is the Samyang 35mm F1.2 ED AS UMC CS lens. It is a manual focus lens made for APS-C cameras and will be shipped for Sony E, MFT, Fujifilm X and Canon mounts. The price info has not yet been released. Scott shares his first impressions on all of the m43 lenses that he has recently purchased for his Panasonic Lumix GX8 camera. Scott interviews commercial photographer and Lumix Luminary Bob Coates about his experience and history as a working pro who only shoots with m43 cameras. We have picked our monthly featured photographer and image from our Photofocus Mirrorless group. The image we picked this month was taken by Nicolas Winspeare and is called "The Z"
With your new host Rod Harlan. In this episode Scott Bourne interviews Trey Radcliffe about a new line of camera bags, some new AuroraHDR News, and a bit about the History of Art. Then, Levi Sim interviews Matt Kloskowski about HDR and bracketing, combined with using the power of modern cameras to help you be more creative. Finally, we have Kevin Ames interviewing Drobo CTO Rod Harrison about the new line of Drobo models, the history of the company, and the difference between regular RAID systems and their Beyond Raid system. Brought to you by HDRSoft, B&H, Perfectly Clear by Athentech and Drobo. Get to know an inspirational photographer: This month Marco introduces you to the advertising and documentary photographer Elliott Erwitt (born 1928 in Paris). Elliott studied photography and filmmaking in the US and was later invited to join Magnum Photo where he became president of Magnum from 1966-1969. Elliot is a very diverse photographer and he was not only successful in the commercial advertising field, he also managed to be highly regarded in the documentary and art photography community. Elliot is also an incredible street photographer with some iconic photos of humans and dogs. Please take some time to study his diverse portfolio and see that a photographer can become a master of many different genres of photography. Scott and Marco share their tips and thoughts on what a photographer should focus on to be inspired during a vacation. Vacations are a great opportunity to also take a break from your "normal" photography. Changing and simplifying gear can not only be a stress relief, it can also by an incredible inspiration push. Focusing on different genres and objects from your daily photography may not only pose a welcome challenge, but it may also help you to encounter challenges outside your comfort zone that help you learn new photographic skills. Find out why Marco thinks that your camera can become your best buddy when travelling the world on your own. And how it can help you meet new people. And make the point of documenting even the ordinary moments of your vacation and upload your valuable memories to a photo book service within 7 days of your return from your vacations! Don't over process to make it too much work. Go with the vacation flow and simplify and use the jpg images. You and your loved ones will be very happy to hold a tangible book with those important images in their hands. Scott's photo book of the month pick is: On the iPhone by David Hume Kennerly To go along with our simplifying your photography theme of this show, this is a book of a Pulitzer Price winning photographer who captured the world with an iPhone. Ron Pepper and Scott Bourne tackle the problem of WHEN to remove people from your shot and HOW to achieve that successfully. Rich Harrington and Scott Bourne answer viewer questions. I have 16MP photos from a Fuji XT1 that I want to print 30” and that I will display in my home. Do I need to “up-res” them? I am deciding between a 16 and a 20mp camera. All other things being equal should I pick the one with the most megapixels? I want to build a photo studio. Should I paint the ceiling white, black, gray or a reflective color so I can manage the light? I like to shoot panoramic photographs using stitching methods you guys have suggested at Photofocus. I see some new cameras are coming out that have the ability to shoot panoramic images built in. Do these cameras do this as well as the stitching method? I have lots of camera gear. I struggle with how to store it when I am not using it. What do you guys do? Do you keep it in bags, boxes, closets, a safe, etc.? This is for Scott. I noticed on Twitter that you posted a bird photo and someone asked you what camera and lens you used to make a photo. Do you think that the person asking that question believes that if they use the same camera and lens they can make that photo? Or do you think they want to know something else? I am puzzled. This is for Rich. I have heard recently that people advise video shooters to capture video at a high frame rate and then slow it down to 24fps to “smooth” it out. Can you explain what that means and are there any super easy consumer level video editing programs that employ that function? When making vacation or family photos is it better to use the camera’s built-in timed shutter release or to use an app on a phone you click in your pocket or otherwise hide from the camera? Can you explain the advantages/disadvantages of using silver, v. white, v. gold reflectors? My dad left me an old Sekonic handheld light meter. Is there any reason to hang on to gear like this? Is it needed or even useable in the digital age? I want to start learning to edit photos on a computer. The only computer I have is six years old. How much computer do you need these days to take advantage of the best photo editing software? I have been shooting for about two years and am starting to get pretty serious about photography. How long should I wait before starting to think about building a portfolio? In this renewed, reinvigorated episode of The Mind Your Own Business Podcast, Scott Bourne and Skip Cohen discuss actionable ways to improve your photography business. In this particular episode, they discuss how to distinguish yourself from the competition by providing excellent Customer Service to your clients. You don’t have to be the best photographer in town, or have the highest end gear, but you can choose to build relationships with your customers. It’s about being nice and listening to your customers. You can develop a great reputation for your business even if you mess up – make sure you come back and deliver great Customer Service in order to fix potentially negative situations. It’s how you handle your mistakes that separates you from your competition. When you make a mistake, admit that you’re wrong without assigning blame on the customer, even if you believe they are at fault. Move on to solving the problem for them in order to make them happy with your service. The internet is powerful, and word (positive or negative!) about your business travels fast. Empathize. Remember to listen twice as much as you talk. Handle things quickly. Scott talks about his trip to Photoshop World in Las Vegas with his mirrorless camera. Sigma has announced pricing and availability of the sd Quattro camera. The body only will be a competitive $799 (US). A unique feature of this camera is the 'Super-Fine Detail' mode that combines 7 exposures into one high dynamic range image. Samyang Optics have announced the global availability of the long-awaited autofocus lens: Samyang AF 50/1.4 FE. It is made for Sony E mount Mirrorless cameras with full frame sensor size. The lens will be globally available from August, and the suggested retail price is EUR 579 (approx. $600 US). There is another new 50mm f1.4 lens for Sony - this one is made by Zeiss. The Zeiss Planar T* FE 50mm F1.4 ZA lens. This full-frame fast prime features an 11-blade aperture for circular out-of-focus highlights a.k.a. Bokeh, even as you stop down. This lens will retail for $1.500 US. Fujifilm has also updated their lens roadmap, adding there new lenses that we should see in the future: XF 23mm f2 R WR, XF 50mm f2 R WR and XF 80mm f2.8 R LM OIS WR Macro. Fujifilm has also launched an updated Instax printer. The new Instax SP-2 is faster and has a better resolution for the credit card sized Instax mini prints. The Printer can be used with most smartphones or directly with Fuji X-cameras and will retail for about $200 US. Scott also shares his Instax mini experience from the past and Marco adds a few wishes for a future Instax printer. The Fuji X-Pro 2 will get an FW update later in the year. It should boost up AF speed to that of the unreleased, top of the line Fuji X-T2 camera. And it also fixes some parallax correction issues on the OVF. We cover the announcement and discuss the features of the Fujifilm X-T2. And we take a close look at how it compares to the X-Pro 2 and which camera is the better deal for the money. Marco has reserved two free spots for our listeners for a sponsored street photography day and photo walk in Hannover, Germany on August 27. Contact him if you want one of these spots. In this episode of the InFocus Interview Show, our guests discuss HDR photography, how they use Photomatix Pro in their workflow, and more! How he uses Photomatix in his workflow. Colin's early exploration into HDR via 3D work. How creativity and artistry play a role in making pictures. Get to know an inspirational photographer: This month Scott introduces you to the American documentary photographer Dorothea Lange (1895 - 1965). She is best known for her documentary photography during the great depression (1929-1939). Her most famous image "Migrant Mother" (1936) is one of the most exhibited images in history. Dorothea's work had a great impact on modern documentary photography. Her images gave the poor and forgotten a face and her work for the FSA from 1935-1939 is iconic for that time. Scott and Marco share their thoughts on why printing your image is so important - especially in today's digital world. In the interview, we cover printers, ink, paper, calibration, software settings and icc profiles. And all of this is today a lot less complicated than many may think! Good paper manufacturers like Hahnemuehle supply icc profiles and instructions on how to get the best results with their paper and your pro-grade ink jet printer. After the interview Scott and Marco share more thoughts on their experiences with printing and strongly urge you, the audience to take action and print more of your work. It may be a life changing experience for your photography. Marco's photo book of the month pick is: Fine Art Printing For Photographers by Uwe Steinmueller. This book is great for anyone who wants to find a consistent printing workflow. In this episode of the Problem Solving show, Scott Bourne and Pepper discuss the problems photographers face. They also offer solutions to help solve these problems. The concept of being "polycamerous"
In this renewed, reinvigorated episode of The Mind Your Own Business Podcast, Scott Bourne and Skip Cohen discuss marketing tips to improve your photography business. In this particular episode, they discuss how to make the most of photography trade shows. This includes what to look for, how to invest your time wisely, what to do, and also what not to do. Make a list of your gear, or gear you would like to have, and plan to visit those vendors at the trade show. Pick courses/classes at trade shows that will help you bump up your skillset and improve your weak skills. For portfolio reviews at trade shows, consider taking your worst work so that the reviewers can help you problem solve. Don’t try to show off. Instead, try to improve. At the end of each day of a trade show, make notes and catalog the business cards that you collected, so that you can properly follow up later. Be practical: wear comfortable shoes, and bring your business cards. Marco takes a closer look at the partially overlooked Fujifilm X70 compact camera. Does it offer more camera than you may think? Scott shares his first hand experiences from WPPI camera show in Las Vegas. He played with the new Panasonic Leica DG Vario-Elmar 100-400mm f4-6.3 lens, the new Sigma sd Quattro H, the Leica SL with the new Leica APO-Vario-Elmar-SL 90-280mm f/2.8-4 and shares his initial impressions about them. A quick look at the new Nikon DL 18-50, DL 24-85 and DL 24-500 premium compact cameras. Fujifilm shared some info on their current and future products. Scott also tested a few expensive leather camera straps from Photocircle and 4V design. Marco and Scott go a bit into detail about the Fuji X-Pro 2 and their first experiences after a few weeks of real world usage with it. This weeks Photofocus Podcast for the Photofocus InFocus Interview Series. This show Pamela sits down with Brad Moore, former assistant to both Scott Kelby and Joe McNally we we dive into his growth and advice to other photographers trying to navigate the road of building a career. Then we tap into Chamira Young who speaks with Collages.net on how we as photographers can improve how we present ourselves online to our clients and potential clients. What brought Brad into photography? How he became assistant to Joe McNally and Scott Kelby? How being an assistant is so valuable to growing your career? What inspired getting into Concert photography? What is collages.net and where to find them? On the new Inspiration Show of the Photofocus podcast Scott and Marco will discuss the art, history and motivation in photography that often gets lost in today's media rich world. Slow down, look closer and put more intent into photography to increase you creativity and final results. And simply spread the pure love of photography. What motivates photographers to document their surroundings and current events? The impact and influence of photography on public opinion based on a few examples of current events such as the refugee crisis. Inspiration can be based on happy events but it can also call for action when it is based on sad situations. Is there still room for photography in a world full of (YouTube) videos? Please share this podcast with your friends and subscribe via iTunes. Wed also love to get your feedback. Is there anything that you want us to cover on the show in the future? My Dad used to shoot film and looking at his old prints there were obvious signs of film grain. Current digital photography seems to be all about “noiseless” images. I would like to get the look that my Dad got from film. Is there something wrong with that? I am building a portfolio and I have limited work to pick from because I have only been seriously pursuing photography for two years. Is it okay to use the same model in different shots in the port - or how about shots from the same location? How necessary is a photography degree in order to succeed in the photo business? I photograph kids and my competitors all soften the children’s skin in post. I think that it looks unnatural - I don’t see the need with children who already have perfect skin. But the competition has created an expectation with their work that has me second guessing what I do. What would you do? I use a color calibration tool on my computer monitor - should I use on my iPad? Why use a color checker card v. just an old fashioned gray card? I want to use a softbox but I only have a standard Canon flash unit. Is there a way to mount a standard camera flash inside a softbox? I am a beginning street photographer - what lenses would you recommend in terms of focal length and aperture? What is the exposure triangle? As a beginner is this something I need to learn? What’s your advice regarding memory cards? Do you recommend the big cards, the fast cards or both? Are the more expensive high-end cards worth the money? This week we catch up with two amazing artists making an impact on the industry. First we hear from Corey Barker who dives into advice for those getting started and shares insight with his upcoming projects. Next Levi sits down with Matthew Jordan Smith who inspires everyone around him. Corey is an education and curriculum developer of the National Association of Photoshop Professionals (NAPP), an award-winning designer and illustrator, the executive producer of PlanetPhotoshop.com, and a regular contributor to Photoshop User magazine. He is also a featured instructor at the Photoshop World Conference & Expo and is an Adobe MAX Master Instructor. He teaches the Photoshop Down & Dirty Tricks seminar tour and has produced numerous DVD training titles on Photoshop and design for Kelby Training. Corey recently co-authored Photoshop CS4 Down & Dirty Tricks with Scott Kelby and was a contributing author for 3D in Photoshop: The Ultimate Guide for Creative Professionals. Corey holds a BFA in Illustration from the Ringling School of Art & Design in Florida. Matthew Jordan Smith is an American photographer based in Los Angeles. He has photographed some of the most famous people in the world – including the President of Iceland, Oprah Winfrey, and the richest man in the world, Carlos Slim. He is best known for his portraits of celebrities, actors, and models. His client list include Olay, Pantene, Revlon, Sony Entertainment, HBO and Showtime. His celebrity clients include Angela Bassett, Tyra Banks, Queen Latifah, Aretha Franklin and many more. How did Mathew start with photography? How he loves to teach? Building relationships and why that is so important. What is Matthew working on? Where can we catch up with Matthew? This is our first episode of the Photofocus Inspiration show. This show will air once a month on the 14th of each month. The show is hosted by Scott Bourne and Marco Larousse. On the new “Inspiration Show” of the Photofocus podcast Scott and Marco will discuss the art, history and motivation in photography that often gets lost in today's media rich world. Slow down, look closer and put more intent into photography to increase you creativity and final results. And simply spread the pure love of photography. Living with limitations in photography. The importance of images to our culture and our history. 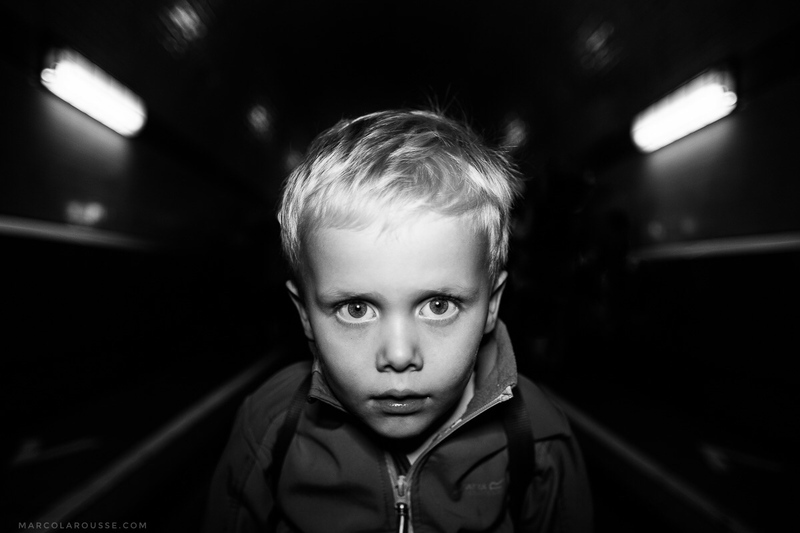 How can a photo have feelings and evoke emotions? The Kodak "Keep me, Protect Me, Share Me and I will live forever!" video. Photobook of the month: Magnum Contact Sheets (524 pages) by Kristen Lubben published by Thames & Hudson. Thanks for all the great questions you’ve been sending in to the Photofocus podcast. This week Rich Harrington and Scott Bourne tackle some great topics to help photographers. Remember, you can post those questions by sending us a note here at Photofocus. What is responsible for autofocus speed? Camera or Lens? Getting started shooting video: advice on editing video as a beginner. What’s the best focal length for portraits and headshots? 85mm, 100mm or something else? Starting out in photo editing, do you recommend Photoshop Elements, Lightroom or something else? I’m switching from Sony to Fuji and I’m looking to sell my used gear, What’s the best way to sell used photo gear? I have expensive fast lenses, but if I’m shooting mostly studio work, is there a reason why I would need fast glass? Do you have to shoot with a DSLR camera to be a pro?